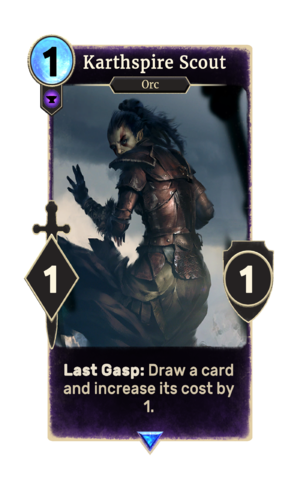 Last Gasp: Draw a card and increase its cost by 1. Karthspire Scout is a rare Endurance creature card. It is part of the FrostSpark Collection.